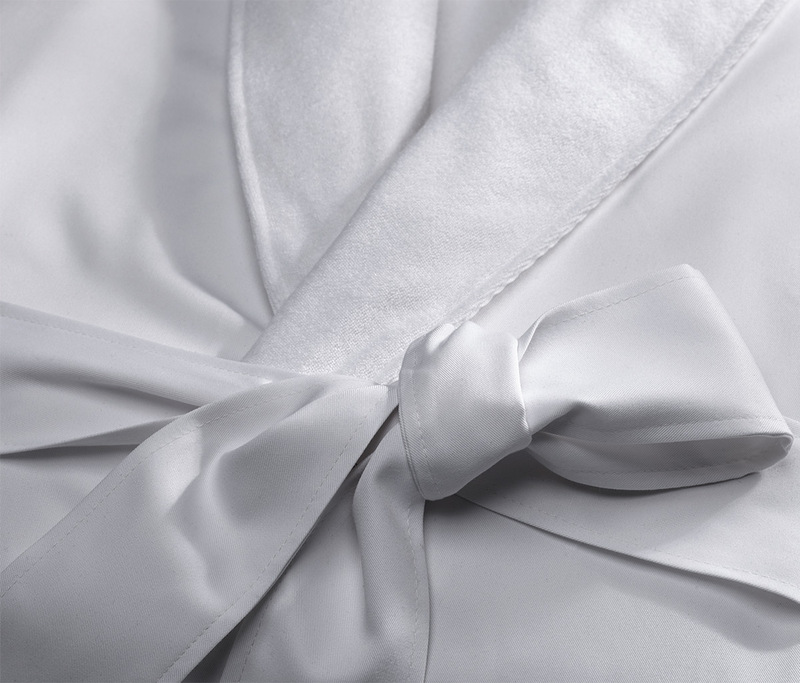 Is it a hotel robe, or a fluffy cumulous cloud? 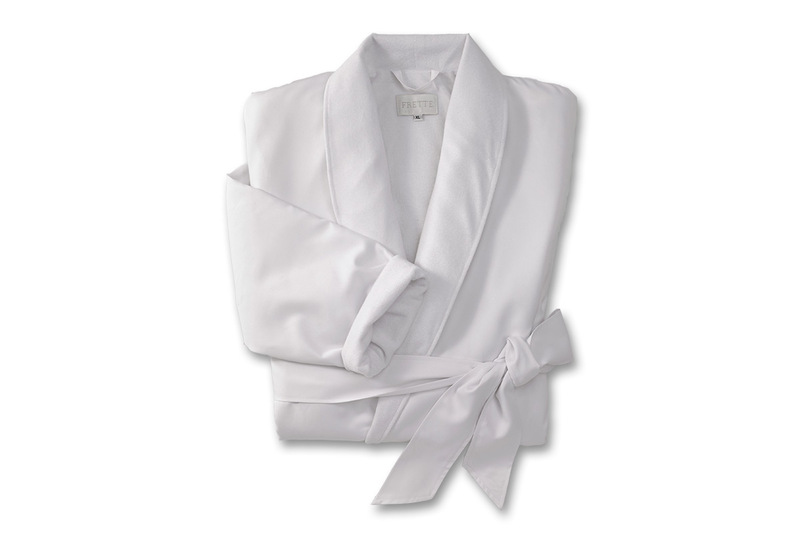 True, we don’t know what a real cloud feels like, but we know all about our Microfiber shawl collar robe. 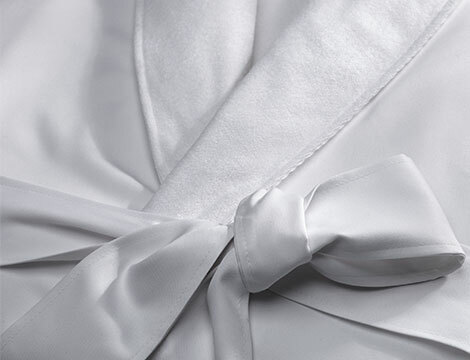 Just wait till you touch it. 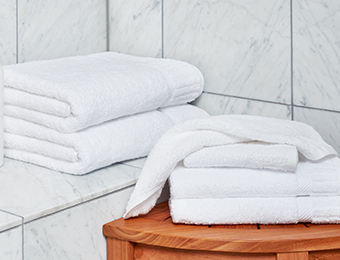 Soft cotton terry lines the inside, velvety micro-polyester encases the outside. 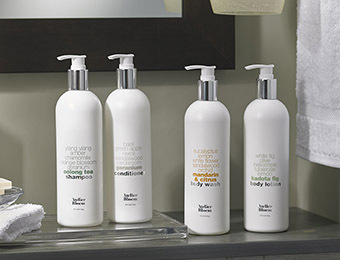 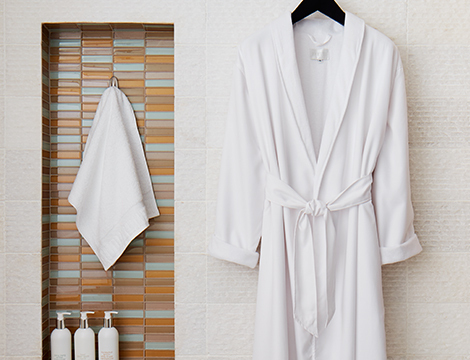 Microfiber has earned its rep for durability, stain-resistance and holding its shape, none of which is lost on us. 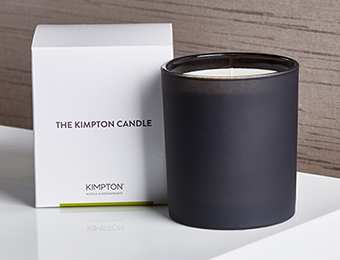 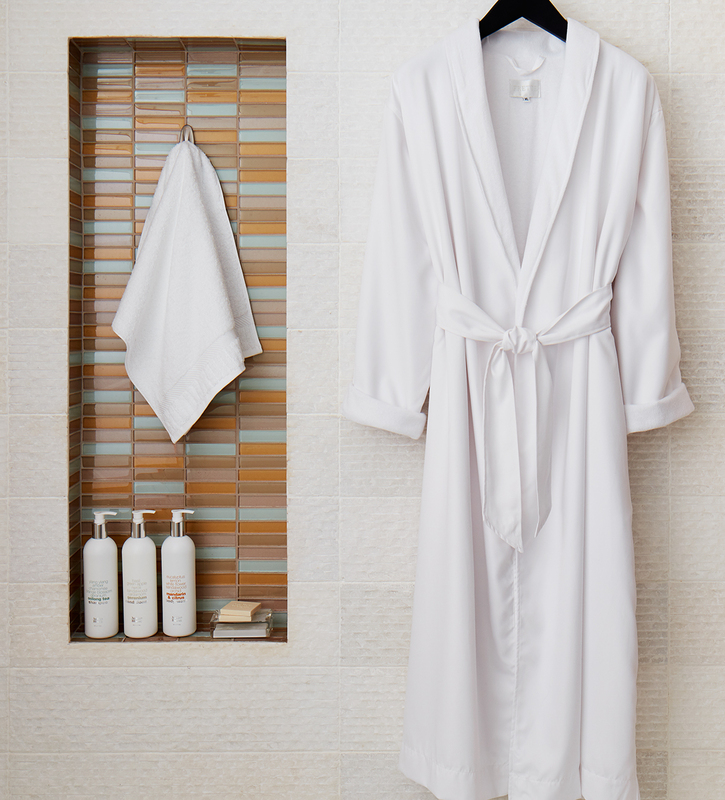 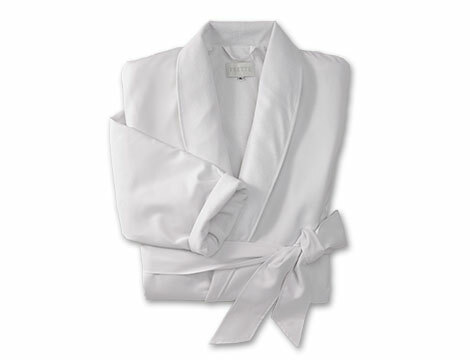 In crisp white for timeless style, and luxuriously crafted for Kimpton Hotel Born and Kimpton Taconic Hotel by Frette.